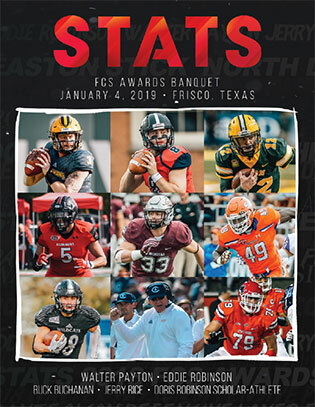 The 2018 STATS FCS Walter Payton Award winner led the FCS in completions (388), attempts (550) and passing yards (4,283) while accounting for 40 touchdowns (32 passing, eight rushing) in 11 games. A three-time Southern Conference offensive player of the year, Hodges became the all-time FCS passing yards leader (14,584). The 2018 STATS FCS Buck Buchanan Award winner posted an FCS-high 168 tackles in helping Southeast Missouri (9-4) post its first winning season since 2010 and first-ever playoff win. The Ohio Valley Conference defensive player of the year had six takeaways - four interceptions and two fumble recoveries - and forced four fumbles. The 2018 STATS FCS Doris Robinson Scholar-Athlete was a starting tackle for the top rushing offense in CAA Football. Infantino is studying to become a doctor, seeking to change lives by treating disorders of the brain and spinal cord. He is pursuing a master's degree in biomedical sciences with a concentration in neuroscience. 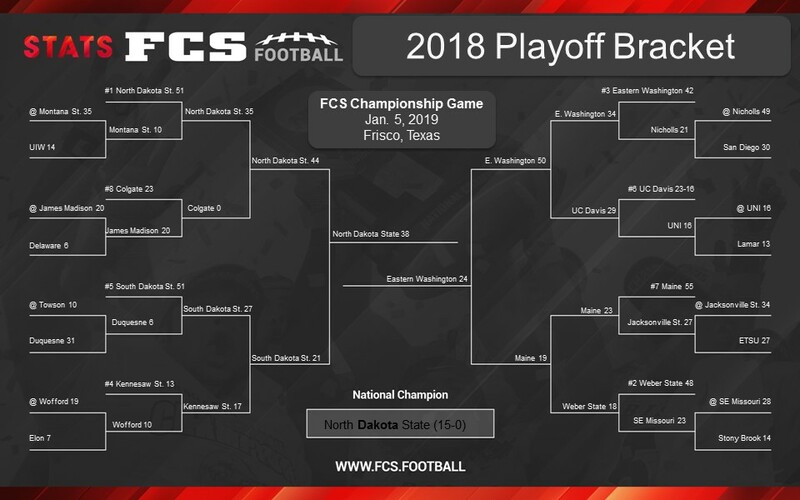 The 2018 STATS FCS Jerry Rice Award winner led all freshmen in the subdivision in rushing yards (1,362) and all-purpose yards (1,779) and scored 10 touchdowns as Big Sky tri-champ Weber State reached the national quarterfinals for the second straight year. He went over 100 rushing yards eight times, including two games over 200 yards.